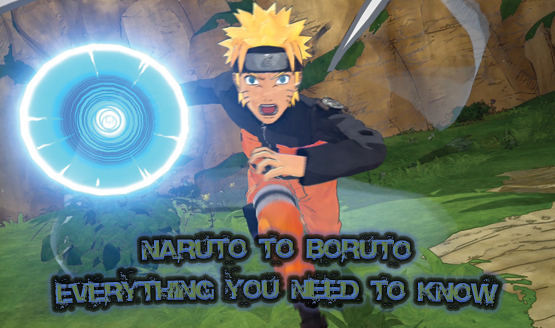 Naruto to Boruto PS4 Review - Everybody Was VR Fighting! The Naruto series has been going on for what seems like forever, with Naruto finally reaching his status of hokage and now leading the Hidden Leaf village into a near era of prosperity and peace. The focus now is on everyone’s kids and how their story will unfold. Enter Naruto to Boruto: Shinobi Striker, a game that puts you in charge of a young ninja trying to make his way in the world. While CyberConnect2 has been a regular on the Naruto gaming scene, this entry is actually being handled by Soleil Game Studio, whose past works include Devil’s Third and a PC game named RockShot. Will this be a smooth transition into your role as a top shinobi or will this be a battle doomed to fail? 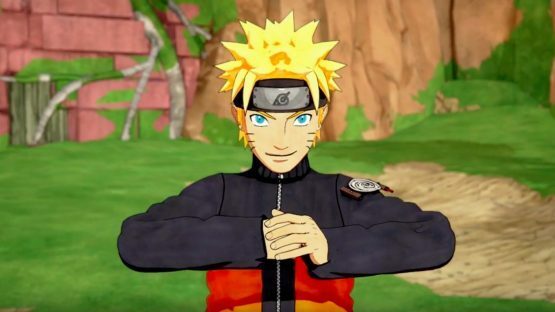 Naruto to Boruto gives gamers the ability to create a ninja of their dreams, from what village they support, down to their hair color and their various ninjutsu. The options here at the beginning are good enough to get you started, with plenty of accessories, outfits, face paint, and headbands unlocking as your progress through the game. Once created, you are plopped down in the Hidden Leaf Village inside the Land of Fire. Slight bummer that there are not individual hubs tailored to the five great nations, but it’s understandable why they chose just to create a single hub world. In the game, you are tasked with trying to raise your rank to Chuunin and to do this, you will be tackling a lot of VR missions, ranging from Rank D all the way to S. That is about as deep as you will get into a “story.” There are no enemies you are trying to defeat or a village to protect; you are simply taking on VR missions of past encounters in the series in an effort to become a better ninja. I understand this is an online-only brawler, but it still would have been nice to have something to build towards or keep you engaged outside of the combat. Even options to take on real missions to help out the people of the villages would have added some needed dialogue to the game. Making matters a little bit worse is that fact that the hub world you are in is rather small, consisting of of maybe five buildings and limited communication options with other players, something we will delve into shortly. There are so many missed opportunities to build this world up as an MMO-lite that are sadly missed, leaving you in a rather barren world with very few options. In Naruto to Boruto, you will spend the majority of your time replaying VR missions over and over again in an effort to claim all 4000 pieces of loot that you can get your hands on. The missions are broken into things like rescuing someone, taking down someone like the Akatsuki, or supporting a ninja and keeping them alive. All of these missions can be played solo (you must be online though) or with the help of three other players. Honestly, there is really no need to ever take on these missions alone, as the world is fairly populated as of writing this review and I never had to wait more than 3 minutes for any given party to form and for the mission to start. Sadly, the missions are fairly repetitive and for the most part, not very hard at all, even when you get to the S rated missions. Thankfully the combat inside these missions is a lot of fun, as you dart around the map, running along walls while raining down kunai on your enemies or pulling off a jutsu of your choice. Combat really does work in this game, but is let down by the rather dull missions and the fact that the levels can feel a bit small at times, limiting the kind of fun you could have on a bigger stage. Players will have the ability to play as one of 4 character classes: heal, defend, attack, or ranged. Each one of these come with their own moves that they can perform, with two justu allowed to be used in battle, along with a weak and heavy attack, and of course a special move. You will have the ability to learn new moves by accepting a VR master to level up with you. As you progress your level with your master, you will learn new moves and unlock new outfits and accessories to equip. You also have the ability at the beginning of a mission to select to play as your master, thus taking someone like Gaara, Konan, or Naruto into battle. The worst part about the entire mission structure and joining up with other players is that there is no “ready up” option before a mission can be started. Once you search for and find a group, the leader of that group can just start the mission before anybody has a chance to select their class. Because of this, you often times end up with multiple healers, or no healers, thus making your fight just a little bit harder. Even more annoying is the fact there there is no exit mission option available once you load in. This becomes especially irritating when you join a party with only one other person and they start the game, setting you at a disadvantage at times. Another big no-no here is the fact that you cannot skip cutscenes during the mission, even on your second or third playthrough. You are forced to rewatch the same scene every single time you load up the mission. If you aren’t feeling the VR missions, you can also head out and do some PVP. PVP consists of 4v4 battles of base holding, combat, capture the flag, and barrier battle. This is where ninja go to see how far they have really come, as these battles can become intense and are an absolute blast to take part in. However, the mode could really use a voice option, as there is not a good enough way to communicate with your teammates, outside of predetermined responses that aren’t that helpful. Outside of combat, you will spend most of your time having Tenten open scrolls you collect in battle, which give you goodies to use with your ninja. These range from outfits, accessories, weapons, headbands, and of course titles. Each piece of equipment or clothing gives you a different perk, allowing you to not only dress the part, but boost your ninja where you need to. With as much times as you spend buying and selling (can only sell a duplicate item) or changing your look at the inn with Sakura, you would think that the menu would be easier to navigate. Alas, this is not the case at all. Things such as selling duplicate items should be a snap, with anything duplicate showing up in the sale menu, however, not in this ninja world! In Naruto to Boruto, you are tasked with having to check under outfit top male, outfit top female, outfit bottom male, outfit bottom female, and so on, checking each and every little category to see if you have anything duplicated. It’s even worse at times having to try and adjust the look of your ninja or better yet, the moves that he has during battle. A quick option to select a class and quickly change out his or her moves would be amazing. Unfortunately, you are stuck here running to the inn, and then having to dive into each class and make a change. This should be something you could do while running around or better yet, at a ready up screen before you go into a mission. It’s little things like this that would go a long way to improving the experience for players, letting them do something with one click instead of five. Visually, Naruto to Boruto is a good looking game, with all the character models extremely well done and the world lively enough. The levels of each mission look good enough, but aren’t going to wow you over with anything breathtaking. All the hair, accessories, and equipment look good and fit their counterparts from the anime and manga, specifically the weapons like the Samehada sword. The audio front is a bit dicier, as some of the voice work falls a little bit flat and the music overall fails to deliver enough to warrant your attention. Developer Soleil should be commended for giving players a fun world to create their ultimate ninja and then try out your best moves on people. The combat doesn’t flow as nice as earlier games developed by CyberConnect2, but it’s satisfying to run up a wall, jump off, and pull off a ninjustu mid-air. While that feeling is great, there is not enough built up around it to keep you engaged and feeling like a part of the ninja world. There were options out there to make the game a living, breathing, ninja brawler with some character, but those must have failed the Chuunin exam. Naruto to Boruto: Shinobi Striker is a good start and will provide you with a good time, just don’t be surprised if you find yourself growing tired of the rinse and repeat of VR missions and PVP. Naruto to Boruto: Shinobi Striker review code provided by publisher. Version 1.03 reviewed on a standard PS4. For more information on scoring please see our Review Policy here. Pulling off a Rasengan feels so good.